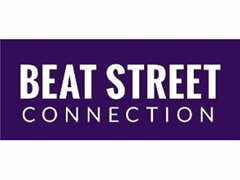 BeatStreet Connection is casting for a music video similar to Jason Mraz' "Have it All". We're looking for female models or actresses to fill four primary roles. This video will feature four strong women interacting with the artists in a fun, light-hearted way. Most of the filming will have a positive, "sunny" feel and will take place outdoors. There will be some indoor shots as well. Some roles are simple and a few will have brief speaking parts. Filming will take place towards the end of February and into March. Female Lead #1 is a confident woman who's outspoken with a lot of energy. Female Lead #2 is somewhat shy, but has a mischievous side. Female Lead #3 is smart and intelligent. She keeps the rules. Female Lead #4 is thoughtful and sincere. She loves her friends and she is creative.